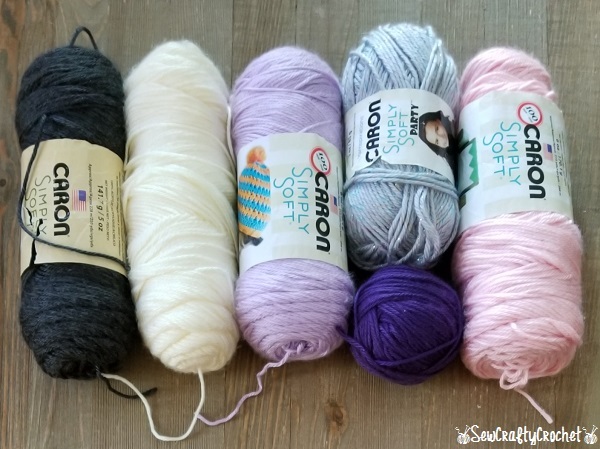 The yarns I used are Caron Simply Soft Charcoal Heather , Caron Simply Soft Off White , Caron Simply Soft Orchid , Caron Simply Soft Purple , Caron Simply Soft Soft Pink , and Caron Simply Soft Party Silver . 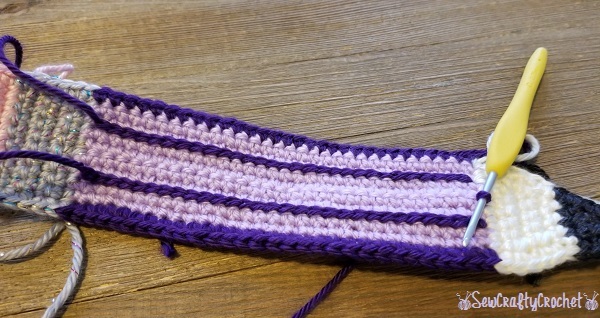 With Caron Simply Soft Orchid , Ch 31.
row 1: sc in 2nd ch from the hook and sc across (30 sts). rows 2-8: sc across. Fasten off. row 6: scdec, 3 sc. Fasten off. row 10: scdec. Fasten off. rows 2-6: 9 sc across. Fasten off. 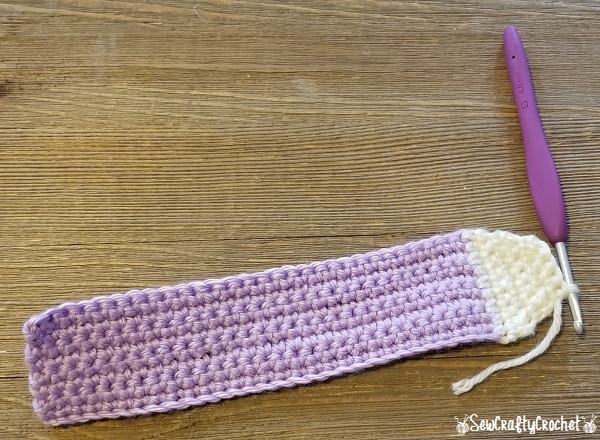 Single crochet border around the pencil making necessary color changes. 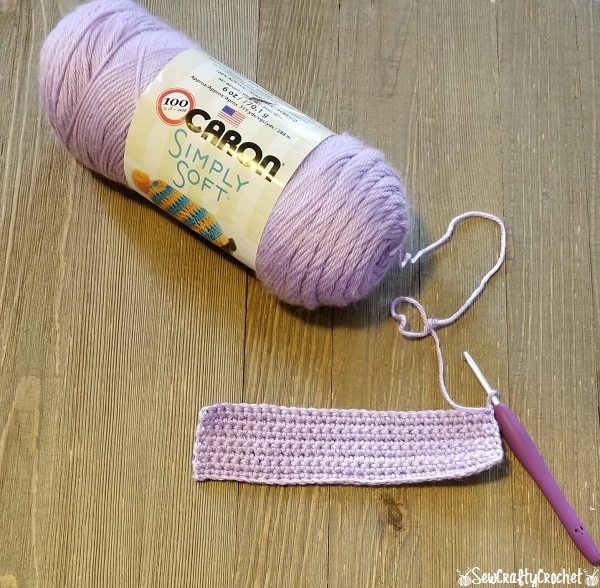 Top stitch lines in Caron Simply Soft Purple . 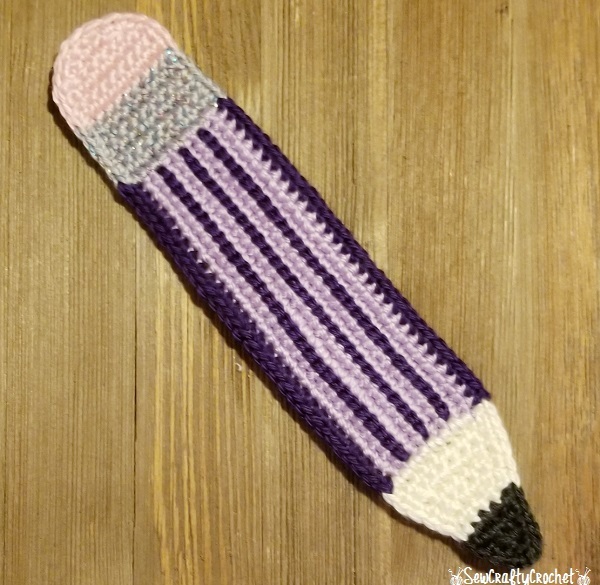 Pencil bookmark is ready for a book! 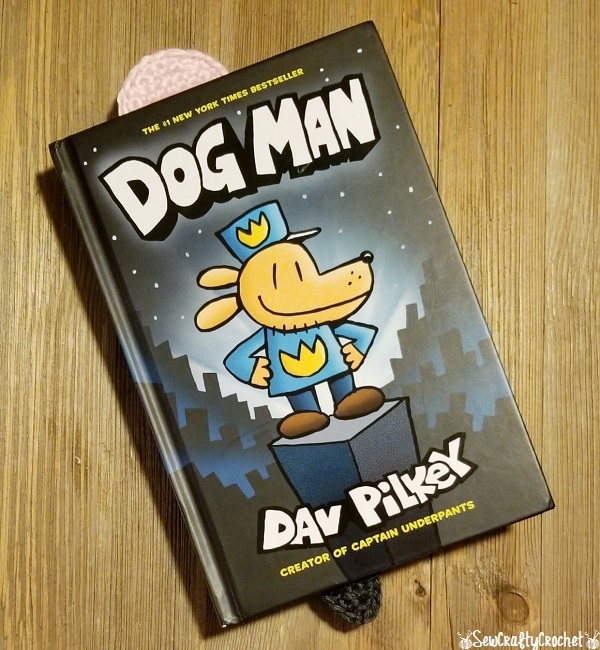 My daughter really loves the Dog Man books. The eraser and point of the pencil stick out the book a little. 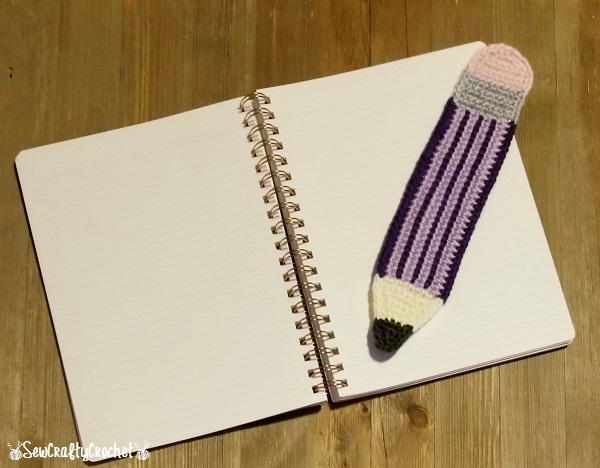 Thanks for checking out my Pencil Bookmark. This was a quick and fun project, and I'm sure my daughter will request another in a different color soon. 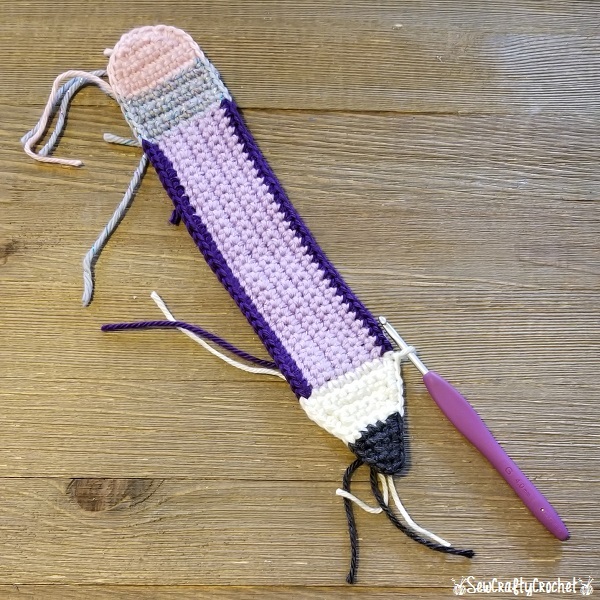 Your crochet projects are just the cutest. Purple is my favorite color and I love the different shades and the detail. 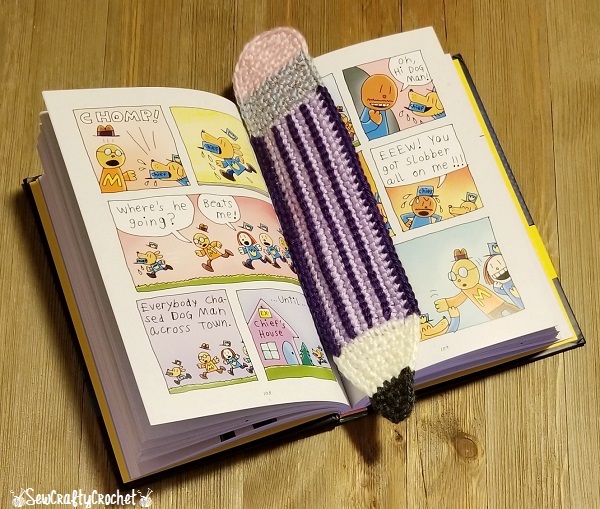 Such an adorable bookmark. I love how you added different shades for even more detail. Pinned. 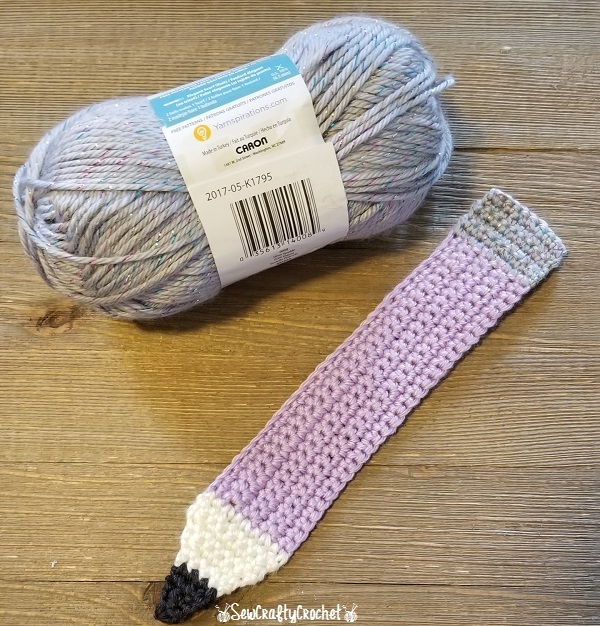 Such pretty colors - I love Caron yarn! I know your daughter was excited to receive this! So cute! This is an awesome gift for any little reader out there! These are the cutest bookmarks, ever! I'm sure all of Crissy's friends are quite envious and wish they had some too! I always look forward to seeing what you are making. 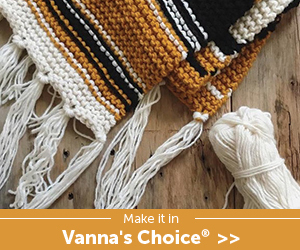 You are such a talented person with yarn and a crochet hook. 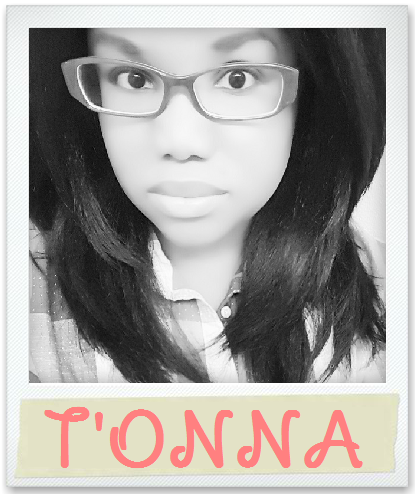 Love these, already Pinned it. I may be able to do this. We shall see. How sweet is this. It is so adorable and will be with her forever. So cute! 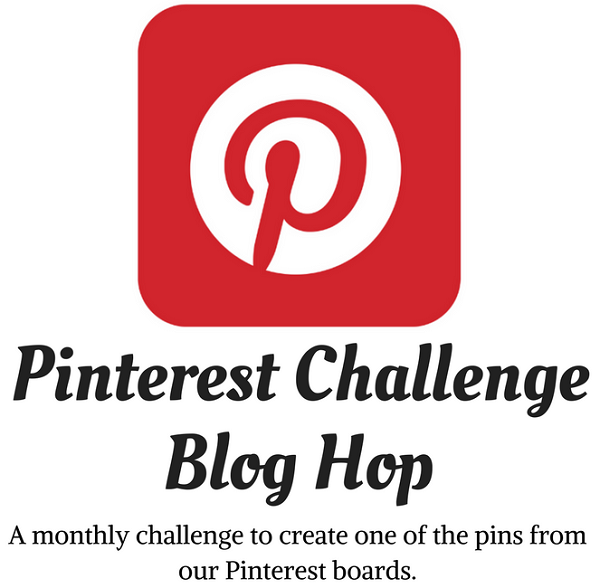 What a fun incentive for reading. Pinned. So unique. If she drops it, no one can claim it's there's! At first I thought it was one of those like hook rugs ya know? So creative! You are so talented! 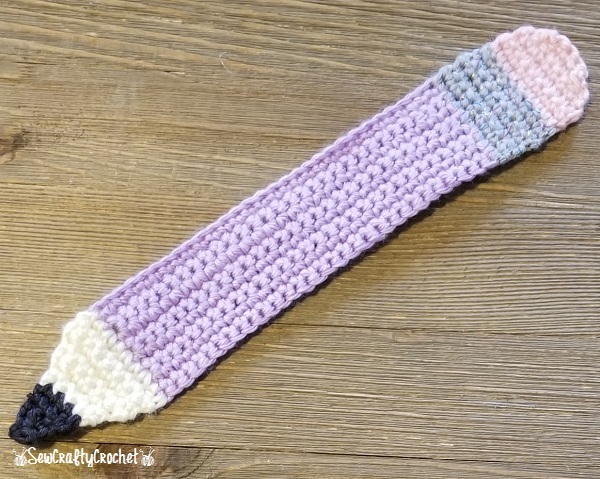 I love this bookmark and I bet your daughter does too! Love this project. 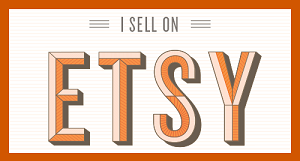 It would be great to make for a craft sale, wouldn't it? 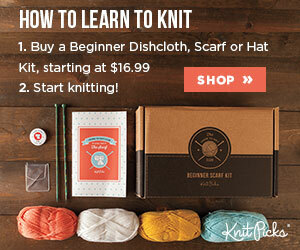 Or to teach a class of young people how to crochet. Nice job! 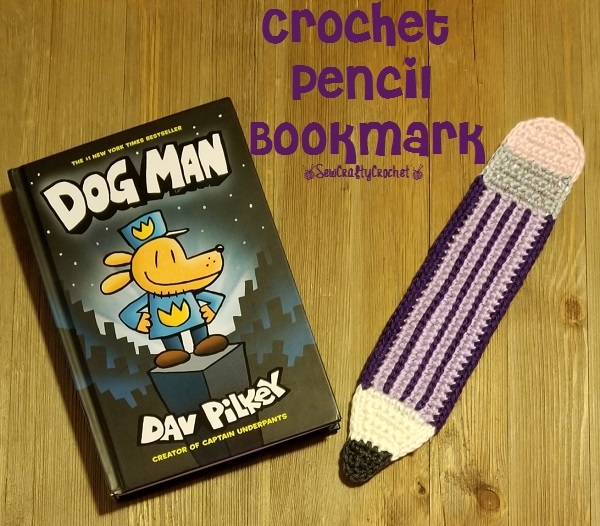 My son just commented that he needed a book mark, I need to make one! 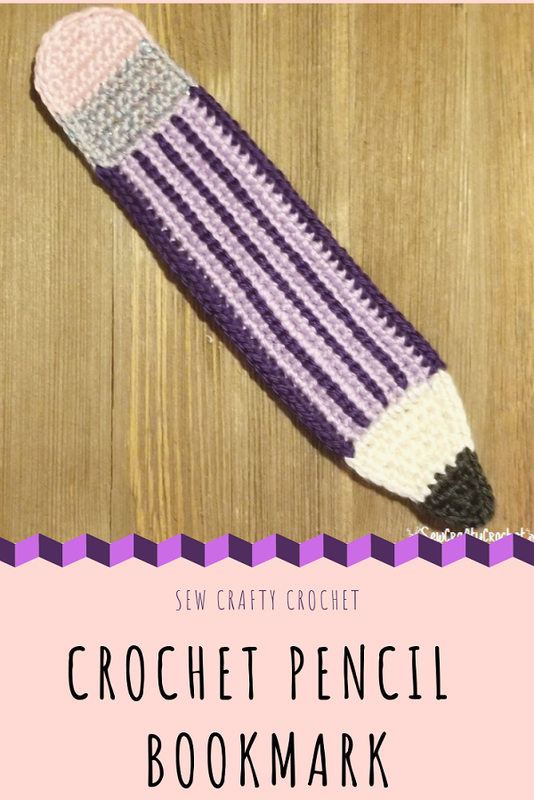 I love those flat crocheted bookmarks. I just got gifted with a cute little White & Grey rat. I never made one before myself, though. I'll make sure to PIN your tutorial. My goddaughter is starting school this year and I need a view little somethings to put into her Schultüte (a Germany tradition for first graders).